There are a multitude of diets to choose from when it comes to losing weight. The problem is that precious few employ common sense eating techniques? So, we diet for a few weeks, see little or no results, and then go back to eating all wrong. They are impractical, aren’t sustainable, do not cause long term weight loss, often put your health at risk, and are seldom wise decisions. On the other hand, if you are looking for a long term solution to being overweight – you’ll need to employ discretion about what you are eating. Whether we wan’t to accept it or not, the food we eat and the exercise we don’t get is the problem. When you consider those facts, simple logic tells us we need to change our eating habits, and get more exercise. We need to use common sense and make a long term commitment to choosing diets that work. I’ve listed 7 diets in this post that have stood the test of time, actually work for losing weight, and always focus on improving your health. Not only can you have the healthy weight loss you’re looking for, but they also help things like high cholesterol, high blood pressure, high sugar levels, diabetes, and more. And if you’re not dealing with those health issues at all, eating healthy will preserve your good health. In short, these diets focus on long term weight solutions instead of the insanity of constant dieting. Here’s a popular and effective diet that was ranked “Best diet” by U.S. News and World for eight years straight. People are getting phenomenal results with the Dash diet and its benefits are as good as you could ask for. The reason the Dash Diet continues year after year as the best diet in so many list and publications is simple: It is healthy and works for weight loss. It’s a simple concept and focuses on the effectiveness of eating consistently from healthy food groups to put together healthy meals. Most anything proven to be effective will involve a real strategy, and the Dash Diet is no exception. It is rich in fruits, vegetables, lean meats, whole grains, and low/non- fat dairy — which are foods that humans are designed to eat, stay healthy, and flourish on. Read more involved Dash eating plans at the National Heart, Lung, and Blood Institute. The Dash diet gets everything right when it comes to healthy eating. That’s why it is recommended by several of the top health organizations which include the National Heart, Lung and Blood Institute and The Dietary Guidelines for Americans. Dash is effective and anyone from adults to children benefit from it. It’s nutrient dense, includes all you need in a healthy diet, and serves as a long term or life long eating plan. Check out the Dash Diet to ensure you will never be deficient in any nutrients as you will feel better than ever before, and live healthier with more energy. About the only thing you could lose with this diet is those excess pounds. The Mediterranean diet is really an amazing and popular diet with amazing results for weight loss as well as maintaining the best health. This diet is mostly plant based, and focuses on vegetables, fruits, nuts, whole grains, fish, herbs and healthy oils. Studies of the Mediterranean diet routinely show that it is helpful for preventing heart disease, and even reducing the effects of people have been diagnosed with heart disease. And there’s more! This article refers to studies proving this diet may prevent dementia. So, when it comes to staying fit and maintaining good health for the long term — common sense eating trumps every fad diet to lose weight. Red meat is consumed in very limited quantities and you may also have some red wine (In moderation of course). Olive oil is used rather than butter and/or spreads for healthy fats and herbs replace salt. Fish can be consumed 1-2 times per week. Red meats are consumed no more than a couple times per month. Use healthy oils to replace butter/margarine. You may have a little wine (Good for heart health). Be generous with herbs and spices as to cut down on salt intake. Your blood pressure will thank you, while your blood sugar levels will stabilize. Also, heart health is an important reason to follow a healthy diet like the Mediterranean diet. Natural and whole foods are the focus of the Mediterranean diet. Throw some olive oil in there and you cut down on the unnecessary extras we tend to add to our foods. Overall, the Mediterranean diet is one of the best diets you can follow. Wellness That Works was formerly Weight Watchers. This diet system has been around for quite some time but there’s no doubt WW is one of the best when it comes to pure weight loss. WW which was formerly Weight Watchers focuses on a point system where you don’t necessarily need to cut out certain foods. The Weight Watchers plan was designed to promote smaller portions and a balance of foods. So, with WW you can eat foods that you enjoy but within reason basically. However, they do advise eating healthy foods and the new WW freestyle program has added many zero point options. This means you don’t have to count or keep track of these foods in your meal plans. They have a few different subscriptions to help you stay on track which includes personal coaching, diet tracking, physical activity and a community. A long lasting diet program like WW has been proven to be effective and cause weight loss. They have changed over the years and for the better. The tools that they provide are wonderful and it’s easy to stay motivated when you have a good plan. Consider WW if weight loss is your main goal because many people can vouch for their credibility and effectiveness. A lower-calorie diet is easy to follow because it doesn’t require as much preparation. You simply eat filling and satisfying foods that are not calorie dense. Because there’s not really a specific diet plan here, you just stay on track for making healthy food choices as you watch your calorie intake. To lose excess pounds (body fat) always requires less calories consumed than calories used. Notice this diet is a “Lower” calorie diet. This means eating fewer calories than you’re used to eating. If you get too low, you may become deficient in nutrients, vitamins and minerals. Then you defeat the purpose of a healthy diet (It happens often). To take advantage of a a low calorie diet, you’ll need to keep a list of common foods and the calories on hand. Here’s a thorough a list of foods and the calories. The most sure fire method of losing weight I know of is keeping up with the calories you consume and the calories you use with regular exercise. At first keeping up with calories may seem like a real drag, but before long you will become super conscious of what you’re eating and how it affects your waistline. There’s a multitude of downloadable and online apps to keep up with calories, free and paid, to do the job for you in real time. It’s smart to have some preparation because if you start eating less, you may revert back to eating more due to lack of preparation. Eat balanced meals that include lean protein, vegetables and some grains. Use a weight loss calculator to get an idea of your daily caloric requirements (Makes keeping track easier). Aside from weight loss, a lower-calorie diet allows for a healthier digestive system, while possibly decelerating the aging process. Research suggests that lower-calorie diets may decrease the risk for cancer, diabetes and Alzheimer’s as well. Eating fewer calories may not be easy but if you eat nutrient dense foods and minimize processed foods, it gets easier and you’ll be healthier as a result. Anyone can lose weight by eating fewer calories but the added benefits are worth following a similar diet periodically, at the minimum. Flexitarian is a unique name for a diet, but it fits well. This diet is for anyone who likes the idea of eating only vegetarian, but can’t give up the thought of eating meat. This flex diet is the perfect choice if that’s you. With the Flexitarian Diet your focus will be on the best health, but not ruling out meat from time to time. It’s a semi-vegetarian diet! 7 Tips For Starting a Flexitarian Diet? When you begin, just start adding more plant foods to your diet. Next start exchanging half of your normal meat and poultry for plant proteins. Start slow. Just eat one vegetarian meal each day for a while. Then you’ll be ready for a meatless day. Search in the bookstore or online for meatless recipes and meal plans. Learn to make your own snacks with veggies and grains without sugar. Include plenty of plant based proteins in your diet. Beans with rice, potatoes, leafy greens, chickpeas, legumes, tofu. Search for a list online. This is a good diet for someone who may want to test the waters, and ease into a vegetarian lifestyle. In fact, there’s research indicating that the flexitarian diet may be a healthier alternative than a strict vegan diet. Even though the focus is reducing meat and dairy products from this diet, excluding unhealthy foods and including healthy habits is the real key. Building your eating habits around healthy foods and ditching faux foods is what produces permanent weight loss. If you’ve given any thought to a more plant based diet, or going vegetarian — this could be the place to start. To tell you the truth, taking the plunge straight into a pure vegetable diet could cause stomach problems. Easing into an all plant based diet with the Flexitarian diet will make the transition simple. It’s pretty simple to get started with this diet, but like all diet changes, preparation is key. Preparation is learning about the diet and what foods you should and should not consume. Now you can shop for the foods and have them accessible before you start. Getting rid of the foods you don’t want is also important so they won’t be readily accessible. 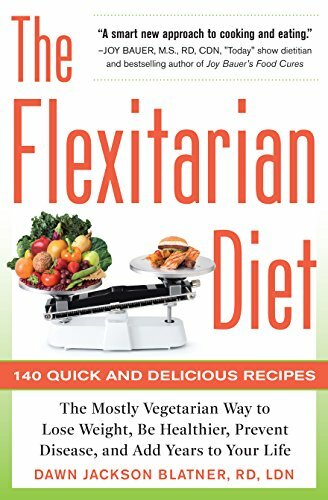 The Flexitarian diet is a common sense approach to eating and moving into a more plant based diet. Going Vegan is a commitment to no meat, diary, or any animal by products including honey. Most people eating meat simply don’t eat enough plant based foods because meat is their main food source. A vegan diet changes that, and assures you of plenty of plant based nutrients, antioxidants, vitamins and minerals. Vegan made foods like cheese, Ice cream etc. As you can see, this is only a partial list when it comes to plant based foods. That means there’s plenty of recipes and food alternatives available with a little imagination. In fact, once you get started, you’ll find foods you would have never thought of as a meat eater. These vegetables are natural antioxidants and are great for cleansing your body and increasing your energy levels. With a vegan diet, it’s hard to be overweight no matter how much you eat of the right foods. And overall good health is a byproduct of this way of eating. One common concern of starting a vegan diet, though, is B12. To keep from being deficient most vegans eat foods fortified with B12 or take supplements. That’s about the only nutrient not found in an all plant based diet. If you’ve been thinking of “going vegan” you should know it’s a real commitment. Like any weight loss diet that produces results, there will be a lot of foods you must turn away from. The difference is, vegan is more of a long term obligation to your health, body, and lifestyle. The Ketogenic diet continues to grow in popularity each year. In fact, you can’t mention diet without someone asking you if you’ve tried Keto. There are so many people going Keto these days, that there are even Keto supplements on the market now. Keto is a super healthy way to eat, providing phenomenal benefits and results. One thing for sure, though: If you stay on it for, say 6 months, not only will you get your body where you want it, your eating habits will have changed forever. The way Ketogenic diets work is that it allows your body to burn fat as the primary source of energy rather than using carbs (Ketosis). If you are pregnant or a diabetic — Keto may not be safe for you. You would definitely need to check with a physician before starting. Most people, however, find that a normal low carbohydrate diet is safe. Doctors and individuals are putting children and adults with epilepsy on Keto diets and finding super and almost miraculous results. There’s also research indicating Keto diets help with heart disease. Of course it’s just common sense that when you’re eating the foods your body was designed to eat, your health will improve. Ketosis usually starts in about 3-4 days of cutting carbs back to less than 50 grams a day. Some people even start the keto diet with a fast to start the process faster. One thing you must do on a ketogenic diet is to make sure you stock on proper nutrition, and get a plan before you start. Looking at the list, you will notice that carbs aren’t cut out completely, but just limited enough that your body starts using fats for energy. The list makes a lot of sense as the best place to start into the diet. 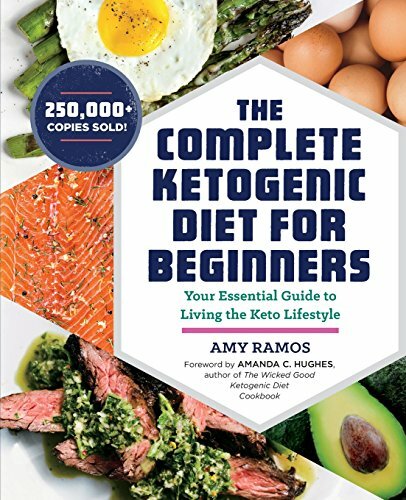 There are a few different versions of the ketogenic diet (having to do with how many and the source of carbs) but starting out, it’s best to keep it simple. You will also find some versions that suggest you fast the first day, but I think if you’re not accustomed to fasting that’s a bad idea. There’s really no need to shock your body. Fat loss will come fast with keto even when you ease into it. I always go with a more common sense method of eating because I want my health to be my first priority. Like so many diets, you’ll probably find fast weight loss at first. That happens because the carbs are holding water, and when you start cutting back on carbs, you are eliminating a lot of water weight. The great thing about Keto is that as you’re burning fat, you are building muscle. The more muscle you have, the faster you will burn calories, making weight loss easier on you and your body. The Ketogenic diet is an efficient and healthy way to not only lose weight, but to keep you healthy — and it works. Here’s the thing: When it comes to losing weight, there’s no one size fits all diet that works. However, when you common sense and realize that it took bad eating habits, and unhealthy foods to put the weight on — you’ll know instinctively which diets will work. People all around the world are using these 7 diets to see spectacular and life changing results in both their weight loss and health. So you can rest assured any one of these diets will work for you. Good diet programs never need a lot of hype and outright lies to sell products. Instead diets that work are based on sound eating principles that get you to your perfect weight while maintaining good health. FAD diets always do the same thing: rely on false promises of fast weight loss with no sacrifices. Those are programs, ideas, pills, and advertisements we do well to stay away from. Fad diets go and come with complaints and lawsuits outweighing the positive results. Like I always say, if you need to lose a fast 5 pounds, a popular fad diet of the day could be the way to go for you. However, for a permanent weight loss solution that enhances your overall health there’s nothing like common sense eating and working out. Some of these diets listed may only be suitable for certain people and/or for a short period. Knowing your current state of health and your goals will make things easier for you.